The mid-season break is over. We’ve all had time to process the awesomeness that was “Elseworlds” and the Arrowverse shows have returned to our tellyboxes… The Flash is back, baby! The great news is that this episode follows directly from episode 8, meaning that no knowledge of the crossover on infinite Earths is required. This week we discover that Nora Allen came back to our time after being taught how to by Eobard Thawne, The Reverse Flash. While the villain is claiming to have changed his ways, XS isn’t convinced. Can An Eobard Change Its Spots? This is a great episode in terms of character development, furthering the ongoing storyline and letting people catch up after the break. The writers deserve a lot of credit for re-introducing The Weather Witch without resorting to a ton of exposition, or a “Previously on” intro that takes up half the episode. They’ve also done a really good job of continuing the ongoing narrative. The use of a trial setting gives the wonderful Danielle Nicolet, D.A. Cecile Horton, some great moments. I believe that her powers may not have totally left her after the birth of baby Jenna. The courtroom scenes are well written and acted, also allowing Jessica Parker Kennedy’s Nora Allen to be more than a superhero. I’ve already mentioned that Thawne is claiming repentance and remorse for his crimes; Reina Hardesty’s Weather Witch actually wants to prove hers. 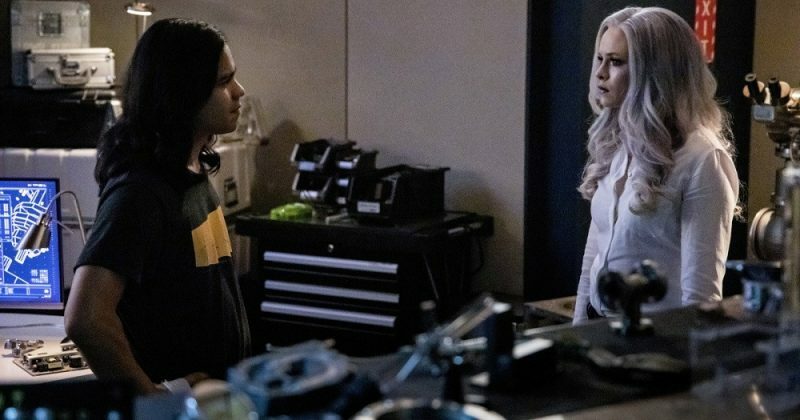 Her encounter with new villain Silver Ghost, played menacingly by Gabrielle Walsh, could make or break her chance at redemption, The irony is that the deciding factor is Nora. If one villain can change, can’t both? What can I say about the main cast of this show that I haven’t said a dozen times already? In this episode we get many great moments. Grant Gustin does a great job, as Barry combats a personal crisis in his own unique and positive style. 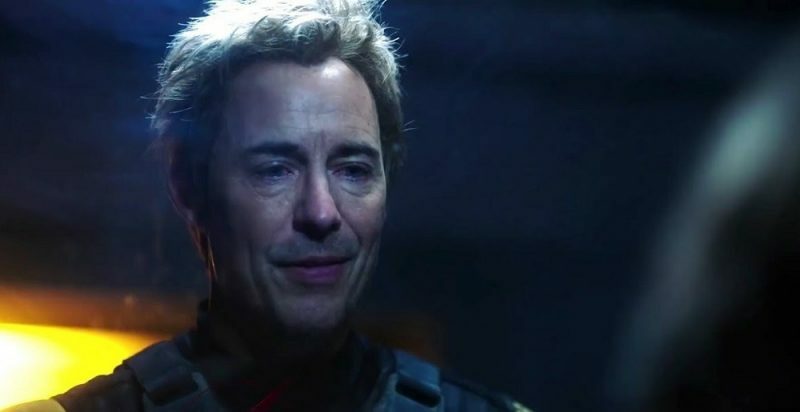 Nora learns that everyone deserves a second chance, showing a range of emotions with the Weather Witch, and Tom Cavanagh’s charismatic Thawne. Both villains are either claiming, or actively seeking forgiveness. Speaking of Tom Cavanagh, this episode showcases his talents and acting range superbly. Apart from having the same face, one would never believe that the the Reverse Flash and the increasingly impressive Sherloque Wells are played by the same man. Great stuff. The ongoing threat of Cicada hasn’t been forgotten. Danielle Panabaker and Carlos Valdes share some great time onscreen as actors. Their characters reconcile a difference in opinion, whilst finding possible ways to track the villain. I love those two/three. “The Flash & The Furious” was a strong mid-season premiere, and I’m eager to see how the story develops. Can Team Flash beat Cicada? Has Thawne turned over a new leaf? Will Barry and Iris discover the connection between their daughter and the notorious villain? How will they react?